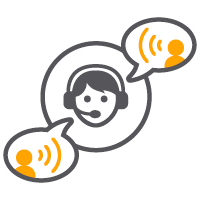 At Globalspeak Translations, we are proud to serve businesses in the energy sector and beyond with top-quality technical translations. Whether you’re looking to have a single document translated from one language to another, or you are looking for something a bit more involved, we are committed to providing you with the best service in the industry for a wide variety of document types. Our staff has years of experience in the field, providing businesses just like yours with technical translations for documents, helping your business cross language and cultural barriers. 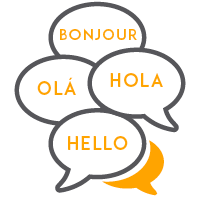 To learn more about our technical translation services, contact us today. Or commitment to providing our clients with quality services extends beyond simply serving businesses within the energy sector. We are invested in understanding all the needs and concerns for businesses in the energy sector, which is why we will be attending this year’s Offshore Technology Conference. The Offshore Technology Conference is the energy industry’s premier global event, featuring an array of resources and leaders in the industry to help you better integrate your business and services into the industry overall. Held in the world’s energy capital of Houston, Texas, the 2018 Offshore Energy Conference is a must-attend event for businesses and professionals working in the energy sector. Based off of previous events, this year’s conference will feature nearly 70,000 attendees from more than 100 countries, many of which professionals working within the energy sector. By attending the 2018 Offshore Technology Conference, you will be able to better integrate your business into the larger industry. By attending this event, you can network with other industry professionals and gain a more thorough understanding of the industry not only domestically, but also on a global level. Your business can also receive a considerable amount of press coverage, with more than 300 internationally renowned journalists attending the event. Attending this event will be key in helping establish your business in an industry that is constantly changing and moving forward. 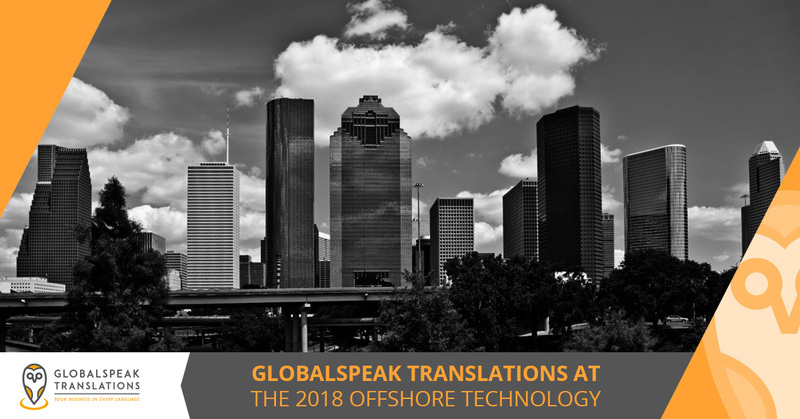 While Globalspeak Translations will not have a booth at this year’s Offshore Technology Conference, we are proud to be in attendance. Why are we attending? Globalspeak Translations has years of experience in providing our services to many businesses working within the energy sector. Our CEO Flor Dimassi has over 20 year of experience in translation and interpretation, and our president, Thomas Lacombe, is an experienced field geologist and a member of The Society of Petroleum Engineers (SPE), as well the American Association of Petroleum Geologists (AAPG). Not only are we skilled in translating your documents, but we have a thorough understanding of your industry, as well. 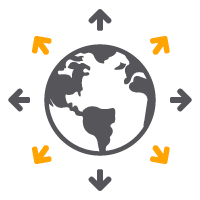 These two things combined allow us to provide you with the best technical translation services possible. We will be attending conferences and networking with businesses in the industry, sharing how our technical translation services can best serve their needs. Whether you own a business that’s in the energy sector, you are a journalist looking to translate energy sector-related articles or otherwise, Globalspeak Translations aims to be your technical translation service of choice. 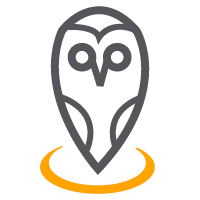 To learn more about our high-quality technical translation services, contact us today. We look forward to meeting you in Houston this year.